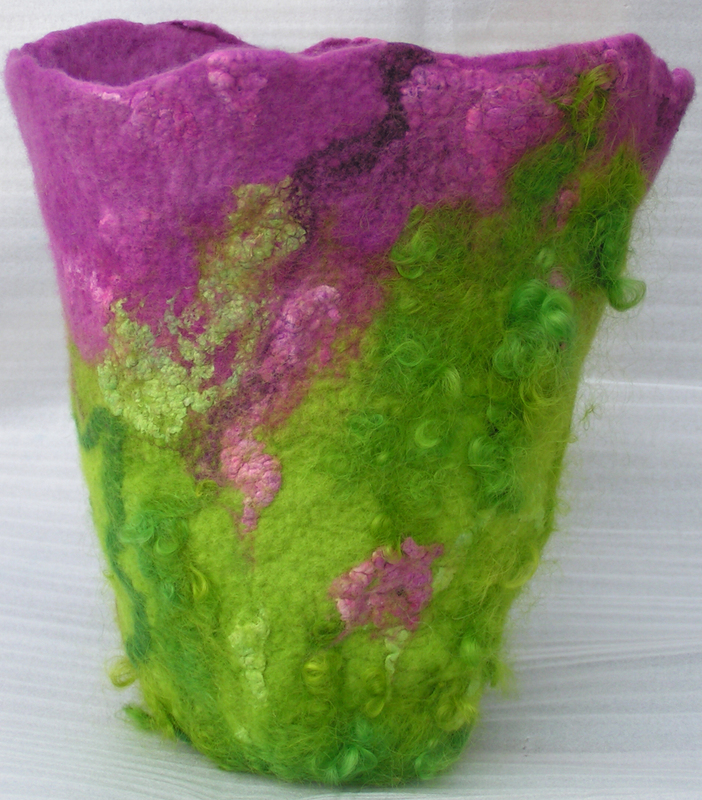 3D or sculptural felt can be created using a variety of methods. By ‘3D’ or ‘sculptural’ we mean felt which is created intentionally that way; rather than items made by sewing pieces of flat felt together to make something not flat, such as bags, cases or purses; or adding slight detail and texture to an otherwise flat item. Felting needles, resists, forms, pins, pegs and stitching can all be used to shape and manipulate wool and felt into 3D objects or sculptural forms. Have a look at the 3D gallery for examples, ideas and inspiration.